Bobby Caldwell’s live performances are always electrifying! Drawing from his vast repertoire of rousing R&B, intimate smooth jazz stylings, and big band songs, Bobby has the ability to entertain at any venue, for fans of all ages. In Japan and throughout Asia, he enjoys a feverish popularity, selling out shows and achieving gold and platinum status for his releases in those countries. 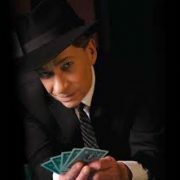 In addition to heavy touring, Bobby starred as Frank Sinatra in the David Cassidy/Don Reo theatrical production “The Rat Pack Is Back” in Las Vegas, Nevada. Bobby received rave reviews for his performance, both from industry critics and from his loyal fans. Bobby has been featured on The CBS Second Cup Café, The Tonight Show starring Jay Leno, BET Jazz Central, and has made numerous national and local network appearances. Bobby’s timeless classic, “What You Won’t Do For Love” has been recorded and sampled by more than 100 artists, including rendition by Boys II Men. A sample of Bobby’s song “Open Your Eyes” appeared in the Grammy nominated platinum rap hit “The Light” by Common. All combined, Bobby’s songs and samples have contributed to over 40 million sales, while artists as diverse as Tupac Shakur, Michael Bolton, Roberta Flack, Go West, Vanessa Williams and Notorious B.I.G. have all paid tribute to the blue-eyed singer in the slouch hat. Bobby’s classic song was sung by Elliot Yamin during the final 3 round of American Idol 2006. Major motion picture and television credits have brought Bobby’s music to even broader audiences. His original composition, “The Girl I Dream About” was included in Hillary Duff’s film, “The Perfect Man”, and in Charlie Matthau’s film, “Her Minor Thing” and in “Simone”, starring Al Pacino. Previously, his rendition of “Beyond The Sea” was selected by actor/director Joe Mantegna as the opening theme for his directorial debut “Lakeboat.” The song fit so well with the movie that Mantegna commissioned Bobby to compose an original piece, “(Oh Boy!) You’ve Got It Made,” as the closing theme. “Beyond The Sea,” along with “All The Way” and “The Girl I Dream About” are also featured in the motion picture “My First Mister” starring Albert Brooks and directed by Christine Lahti. “I’ve Got The World On A String” was used in “Hearts In Atlantis” starring Anthony Hopkins. “Luck Be A Lady” is the featured track in the movie “The Cooler,” starring William H. Macy, Alec Baldwin, and Paul Sorvino. Bobby’s songs and albums have been released in the USA, Japan and throughout the globe, and have been enjoyed by millions of fans. Born in Manhattan and raised in Miami, Bobby came from a show business family. His mother and father both sang and were the hosts of one of the first musical variety programs on television, “Suppertime.” Bobby grew up listening to show tunes, the music of Frank Sinatra, Nat King Cole, Tony Bennett, as well as The Beatles. These early influences are prevalent in Bobby’s singing and songwriting. Bobby chose a career in music at the tender age of 17. He has devoted his entire life to song writing, recording, performing and most of all making people happy. Bobby has toured the USA and the globe for 40 years, bringing his music to fans of all ages and backgrounds, and he continues to do so.